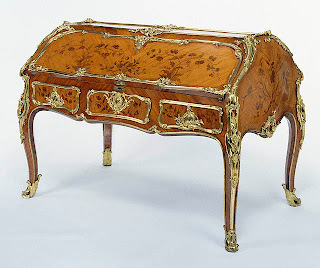 The origin of this console is France , 1850 . carved wood with shells and acanthus leaves. 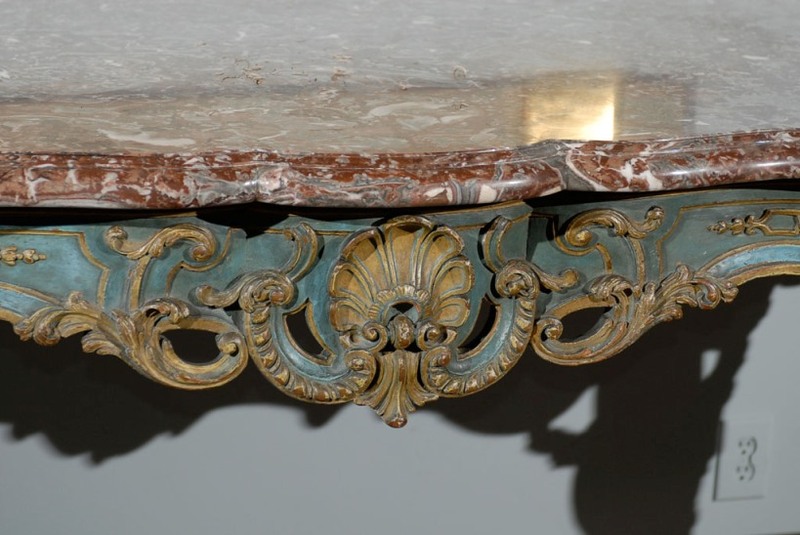 It is painted in the typical French blue-green patina and enriched with gold leaf in carving parts . 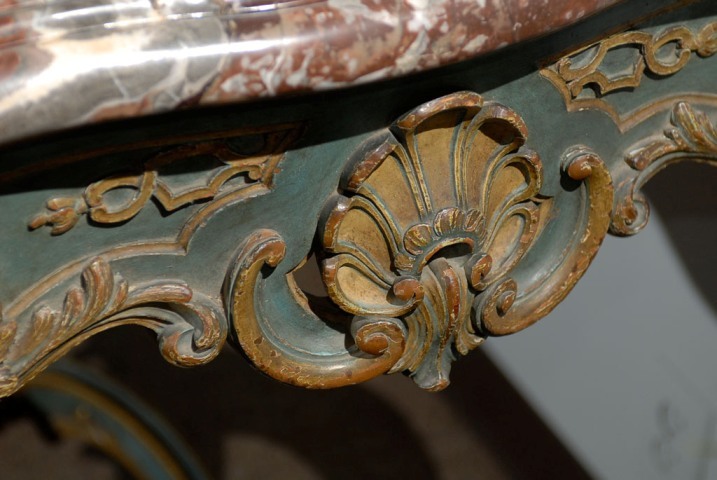 the craftsman's use of the reticulated apron and sides.. 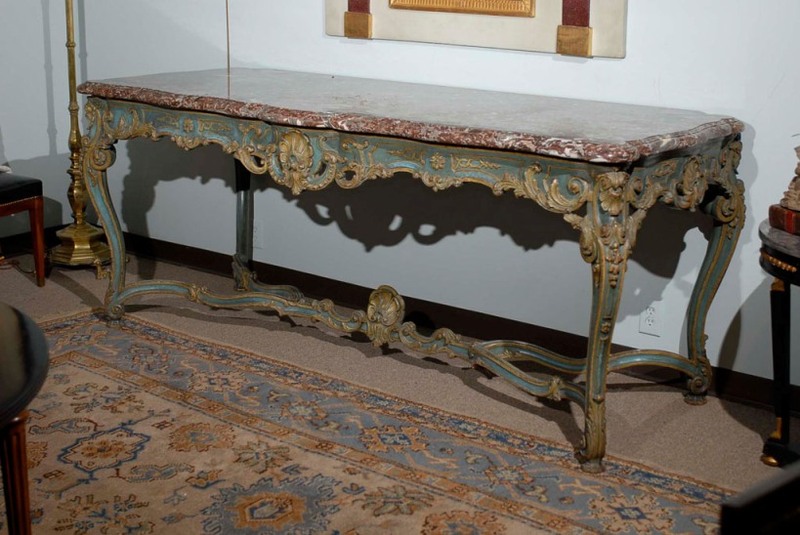 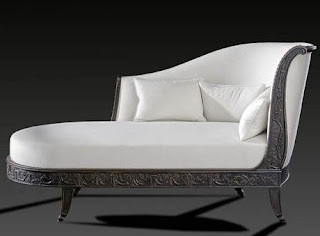 This antique console surely came from a Palace invoked regencey style period !